Here are the best WordPress hosting providers for 2019 via the official announcement from WordPress.org. Picking the best WordPress hosting is a tough task, especially when the internet is full of an endless stream of web hosting companies. When I started my online journey, finding the best WordPress hosting was definitely a challenge. Different people gave me different hosting options, and it was very confusing. Every hosting company has its pros and cons, and because of this, all of them often get mixed reviews. However, one thing I knew for sure was that I wanted the fastest possible WordPress host which offered at least 99.99% uptime and would ensure my WordPress blog didn’t get hacked. Being a long-time blogger, I have been fortunate enough to try many WordPress shared and managed hosting companies over the past few years. Here, I have listed down the best hosting sites for WordPress based on user voting and those recommended by official WordPress ninjas. We are in an era of innovation, and since WordPress now powers 33% of the websites in the world, many web hosting companies have come up with hosting packages specifically targeting WordPress bloggers. Since WordPress is a good platform for blogs & websites, it also requires a good hosting environment. When I say “good”, I mean that the hosting needs to be optimized for running a WordPress site. Now, if you search Google for “best WordPress web hosting”, you will be bombarded with multiple suggestions (many of which are not good). That’s why I’ve created this guide to help you decide what kind of hosting is best for your blog. WordPress is a memory-hogging piece of software, and the first thing that you need to take note of is the technical support team. Many hosting companies offer great before sales support, but their after sales support is pathetic. For example, with HostGator, you need to wait for 30 minutes on live chat to get any kind of response. Isn’t that terrible? Imagine your site being down for 30 minutes. You might lose a potential customer, or a reader, or an opportunity to be seen by someone awesome. Make sure your hosting company offers real-time support. WordPress sites are prone to hacking and issues like high CPU usage. Many times, websites go down due to some buggy script. If your hosting supports live chat, you can quickly ping them and ask them to look into the issue. Phone support is usually offered by most hosting companies, but with live chat support, your life will be easier. So far, I have seen great support from SiteGround and Cloudways. Uptime is one of the biggest factors that you need to consider. The best thing to do is find a host that offers maximum uptime. These days, many WordPress hosts (like Kinsta and WPEngine) offer 100% uptime. I have a few sites hosted on Kinsta & let me tell you, it’s costly, but gives me complete peace of mind. Many web-hosting companies will offer 99.9% uptime. Do you know how much potential downtime that is? Despite being one of the best blogging platforms, WordPress has its issues. You need to make sure your hosting is offering the latest PHP and is using an updated OS. This is not hard to find, and you can always ask such questions to the sales team before buying your hosting package. If you are talking to a pre-sales representative of any hosting company, you should ask them which version of PHP & MySQL they are using. Anything lower than that should be avoided. Most people using WordPress are not so geeky. In fact, WordPress is great because you don’t need to know much (or anything) about coding and web design to run a professional website. Having a host with cPanel will make your life easier. You can quickly add addon domains, create FTP accounts, and many other super useful things with the cPanel GUI. I personally like Bluehost cPanel as they also offer a custom solution to manage WordPress. They have a special page called as “WordPress tools” for managing your WordPress site. From this page, you can update WordPress, take backup & configure SSH. Unlimited hosting doesn’t really mean “unlimited”. Do you think anything in this universe can ever really be “unlimited”? Still, many web hosts offer unlimited resources. This means that they’re so far out of the reach of most websites, the word “unlimited” is relatively appropriate. In general, go for hosting which offers maximum resources regarding storage and bandwidth. One thing that you need to keep in mind is that many web-hosting companies charge extra once you have exceeded the amount of allocated resources. This is OK in some cases, but not OK in most cases. When I shop for a hosting company for my WordPress blog, I check for their specialization in hosting WordPress sites. I will be listing down those web hosting companies which have a very good reputation for hosting self-hosted WordPress blogs. At the time of this writing, I’m running 8 different WordPress blogs (including this one). Other blogs include ShoutMeLoud.com, and WPSutra.com. Since I like to learn about the latest in the web hosting industry, I’m using various hosting companies to host all of my sites. This helps me to understand which hosting companies keep getting better and which ones are losing ground. Currently, I’m using 1 SiteGround shared hosting account, 1 Bluehost WordPress shared hosting account, and 1 Kinsta managed WP hosting account. In the past, I have used Linode, WPEngine, HostGator, Cloudways, and many others. WPHostingDiscount.com (this blog) is currently hosted on my Kinsta managed WordPress hosting account. I’m limiting this list to shared hosting only, as they are perfect for new WordPress blogs. 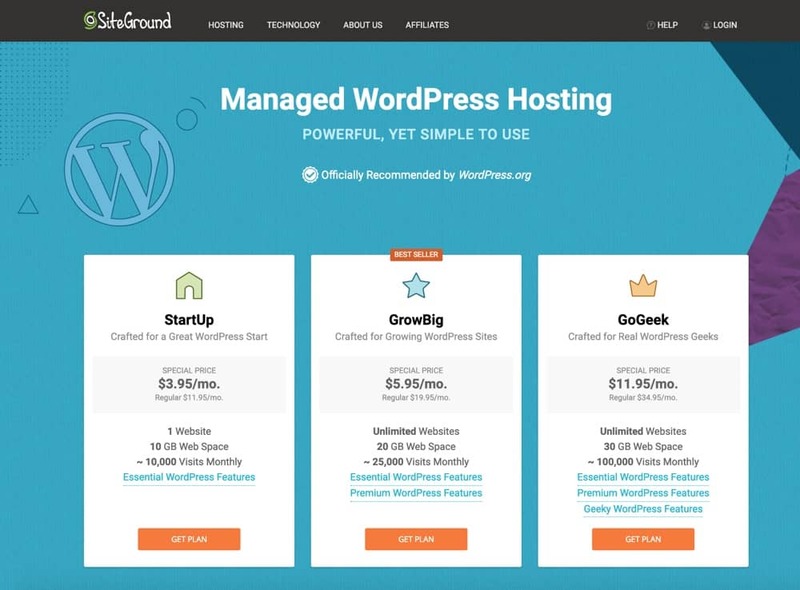 SiteGround is a hosting company which I started using in 2014, and I’m totally in love with them. SiteGround offers an amazing caching feature called “Supercacher” which ensures your WordPress blog loads faster than any other shared hosting plan. Their Supercacher is in-house technology and available only for SiteGround users. Last year, SiteGround added many new features which you will surely enjoy. Free SSL certificate using Let’sEncrypt. Nginx hosting (This is very powerful for WordPress). I suggest opting for their GrowBig package, which costs only $7.95/month (when purchased with the below link). 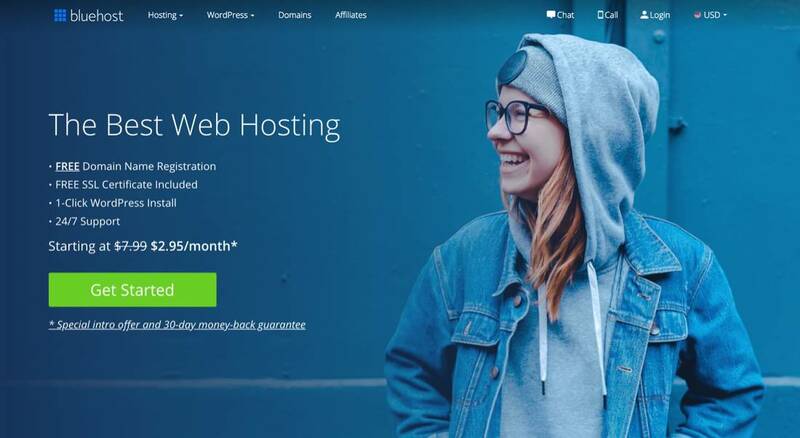 Bluehost is one of those web-hosting companies which was started in a garage, and now it’s the top choice for hosting WordPress sites. They have won numerous awards in the past couple of years, and they are officially recommended by the WordPress team. Bluehost got started in 1996, and since then, they have grown to become a full-fledged web hosting solution for small, medium, and large-sized websites. Bluehost starts from $3.65/month and offers users one free domain. They offer a cPanel interface which makes it easier for non-tech users to manage their hosting accounts. I’ve been using Bluehost since 2012, and in the last 5 years, I have had no complaints about their hosting. If you are looking for a reliable hosting site for WordPress, Bluehost is a good bet. Bluehost and SiteGround are really great for entry-level blogs. But if you are planning to run a serious business on WordPress, like a high-traffic professional blog or a WooCommere-based WordPress site, you should use a managed WordPress hosting company. With managed WordPress hosting, you don’t have to worry about security or maintaining your blog. They take care of everything technical so all you have to worry about is running your business. Kinsta is the most trusted name in the managed WordPress hosting space. But be warned: Managed WordPress hosting can get a little expensive. The most basic Kinsta package starts at $30/month. But if you can afford this expense, it is completely worth it. Google Cloud platform (High-speed performance). Free migrations from old hosting to Kinsta. The data center in the USA, Europe, and Asia. I’ve been hosting this site on Kinsta since January 2017 and have had 100% uptime since then. 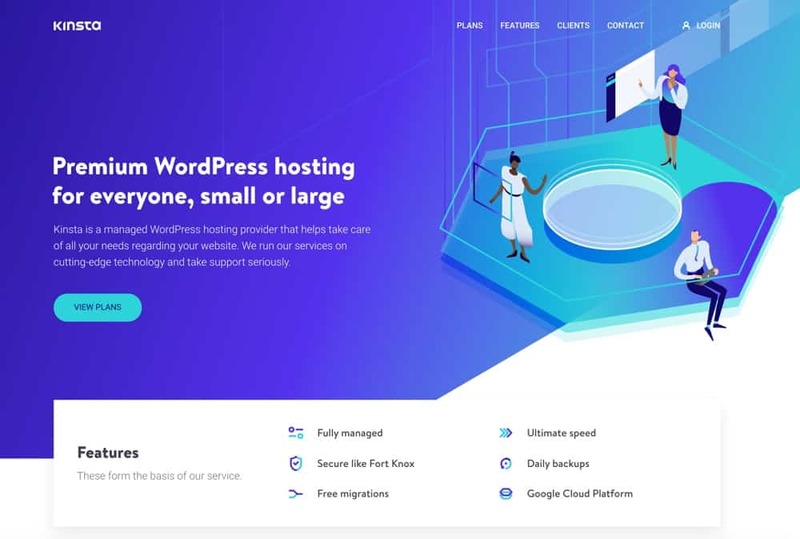 Again, if you have the budget and are looking for the best possible WordPress hosting solution for your site, Kinsta is the best choice you have. We will keep updating this list as we find more reliable WordPress hosting companies. 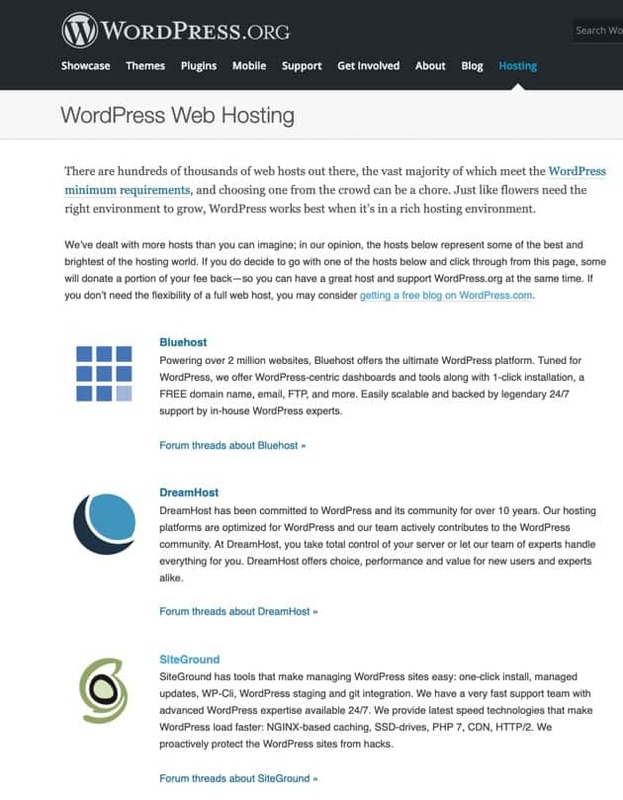 For now, let us know: Which WordPress web host are you using?